11:48 - Server is online, but we need some time for additional testing. Expected launch time is 13:00 GMT+1 unless stated otherwise. 9:19 - Migration of server is done, however there are problems with SG license. We are waiting for answer from SG support. We have to postpone the server start. Next info will be at 12:00 GMT+1. Thank you for understanding. 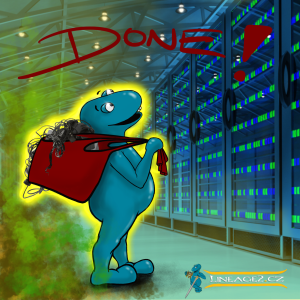 After yesterday’s lags experience we have decided to speed up the transfer of our server into another datacenter. We have been working on the preparations for a few days now. The transfer will take place this day. Server will be taken down at 7:30 GMT+1. If everything goes as planned, the server will be back online at 9:30 GMT+1. If something goes wrong the all necessary informatin will be here in this article. For you nothing will change. System patch will stay the same. We thank everybody for their patience.